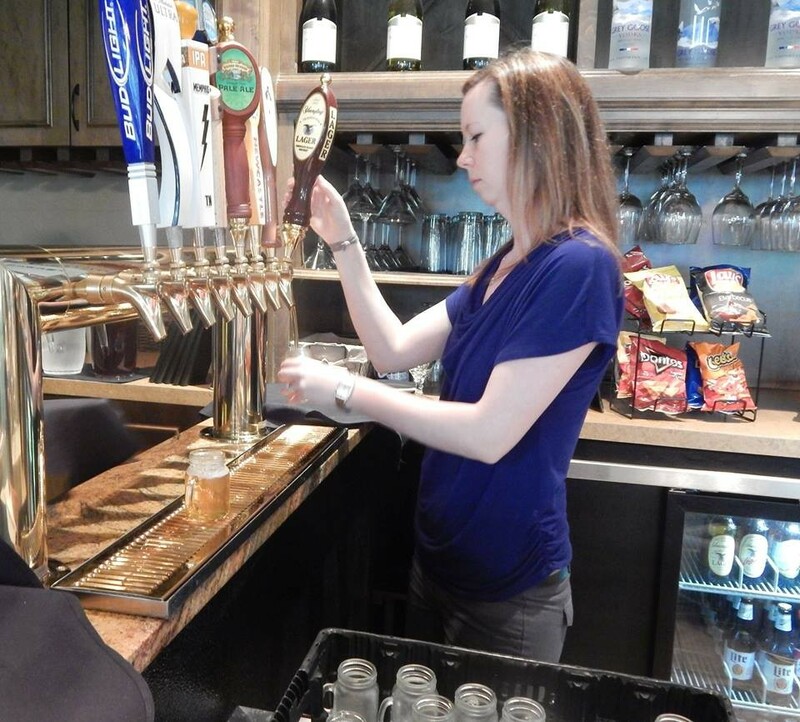 A bartender pours a beer at TPC Southwind. Food service workers in Tennessee cannot sue their employer for illegally distributing tips to non-tipped employees, according to a new ruling from the Tennessee Supreme Court. The court ruled on the issue Thursday in a case filed in Memphis in 2014. Kim Hardy was a server and bartender at the Tournament Players Club (TPC) at Southwind. Customers at the club were charged a mandatory tip in its bars and restaurants. Hardy noticed that the club distributed those tips to many different types of employees including those in the kitchen and in management. Hardy sued TPC, claiming the club owed her damages because it “knowingly, willfully, fraudulently, maliciously, and/or with reckless disregard failed to pay her and other similarly situated employees all of the tips” they were owed. She sought compensatory and punitive damages. A Memphis trial court dismissed her claim, noting that a private employee had no explicit right to file suit on the claims, according to the Tennessee Tip Statue. An amendment to that state law in 2013 said a tipped employee’s only course of action on a tipping violation was through the state Department of Labor and Workforce Development. A state appeals court reversed the trial court’s decision in 2015 to examine the law and remanded the case back to court. The Supreme Court allowed the appeal and heard it. But the court ultimately overruled the original decision on the appeal. The state legislature had not explicitly provided a private citizen, like Hardy, to “file a lawsuit to collect damages for violation of the Tip Statute.” So, even if the company broke the law and skimmed the tips, employees could no sue the company.